Being in the business of web design I am often asked the question how can I get my business out there? Obviously my answer is, “you need a website to start off with” however a website is only a part of a large marketing plan. How important do you think marketing is for your business, how much money would you spend on marketing even in a bad month? If you’ve ever heard of the “Pet Rock”, you probably thought it was simply a well-worn joke. This joke, however, earned one marketing agent a staggering $15 million thanks to one of the most clever and successful marketing campaigns of all time. Marketing specialist and entrepreneur Gary Dahl got the idea for the Pet Rock while sitting in a bar one day listening to his friends complain about the hassles of pet ownership. Gary suggested to them that they give their kids a rock instead, since a rock didn’t make messes or require constant care and feeding. The idea started out as a joke, but Gary Dahl was quick to see the potential for a quirky yet promising marketing scheme centered on the idea of owning a rock as a pet. Before ever conceiving the idea of the Pet Rock, Dahl had already made a name for himself in the marketing world. He worked as both a marketing executive and a copywriter before branching out into his own ideas and inventions. Over this period, Dahl learned that sometimes clever packaging was even more important than a good product, especially when it came to the world of marketing. Putting this concept into practice, Dahl marketed his Pet Rocks as the perfect household pet. He boasted that they never needed to be fed, they were always calm and quiet, and they didn’t require cleaning up after or any special attention. Along with the rocks he sold (which Dahl bought by the truckloads from a landscaping company), Dahl included a set of comical instructions on how to care for your new Pet Rock as well as a cardboard box that had been fashioned to look like a pet carrier. The idea caught on quick. 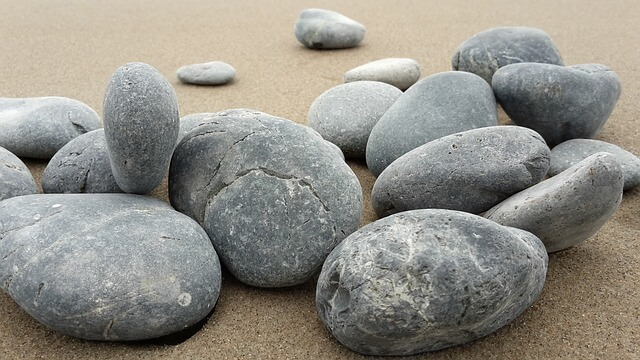 People purchased Pet Rocks for a number of reasons, ranging from a comical gag gift to parents wanting to give their kid a “pet” without having to assume any of the normal responsibilities. For several years during the early 1970′s, Dahl’s Pet Rock was the nation’s most widespread fad. Dahl sold each Pet Rock for $3.95, profiting an average of $3.00 of each one. According to Business Insider, within just the first six months of putting his Pet Rocks up for sale, Dahl had sold over 5 million of the gimmick pets, turning the idea of the Pet Rock into one of the greatest fads in history. While many may scoff at Dahl’s success, it’s easy to see the brilliance behind his endeavor. Dahl was one of the first entrepreneurs to recognize the value in viral marketing and also one of the first entrepreneurs to readily admit that a clever marketing scheme and a little bit of luck is even more important than an incredibly useful product. The success of the Pet Rock and the marketing scheme that launched it into the stratosphere are both reminders that sometimes all it takes to come up with “the next big thing” is a bit of outside-the-box ingenuity, a whole lot of hard work, and a stroke of well-timed luck. Pet Rock goes to show that all you need is an idea. Find your story and commit to it, just like Dahl did. As we see in the Pet Rock campaign, humor and cleverness helped the product become successful; when creating content, think about how you can find that elusive Pet Rock style idea and then take it to the bank! NEED TO MARKET YOUR BUSINESS ?